For a concrete engraver, that knows the business in Myrtle Beach call Coastal Crete Engraving. 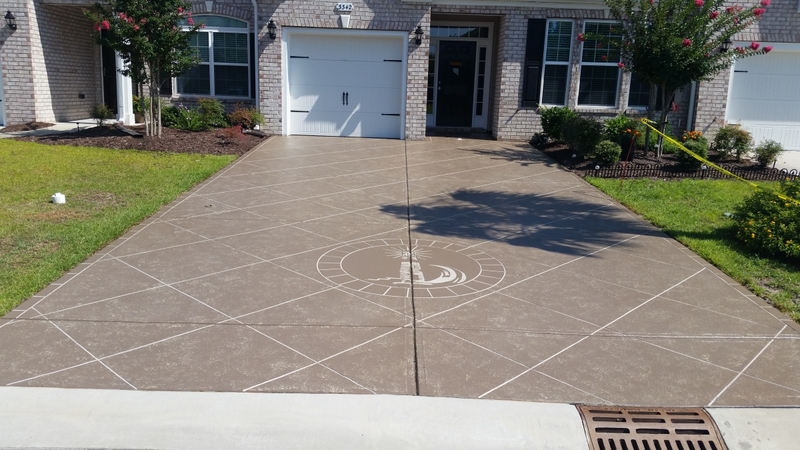 Our concrete engraver has years of experience and uses the most up-to-date technology to make sure your old concrete is stunning at the end of the day. 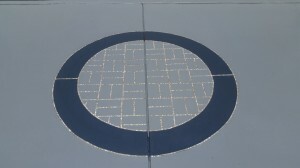 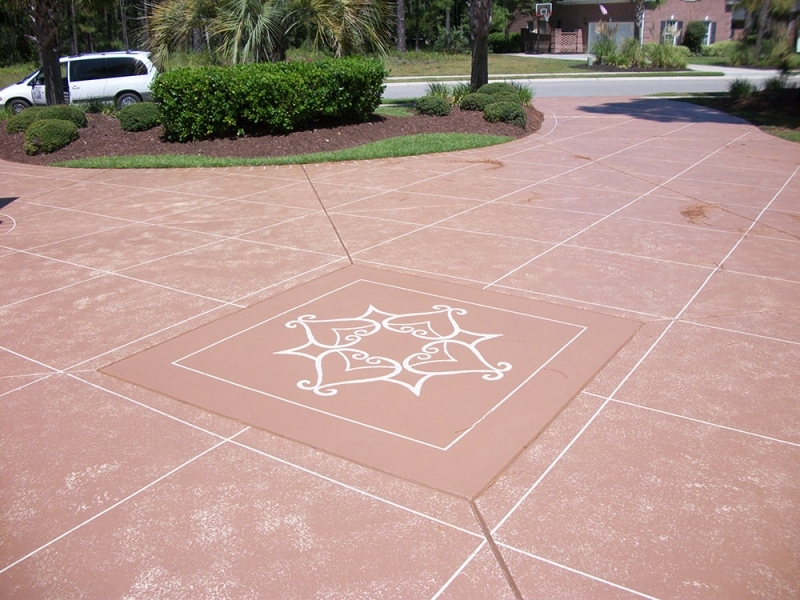 Choosing the right concrete engraver for the job is of utmost importance. 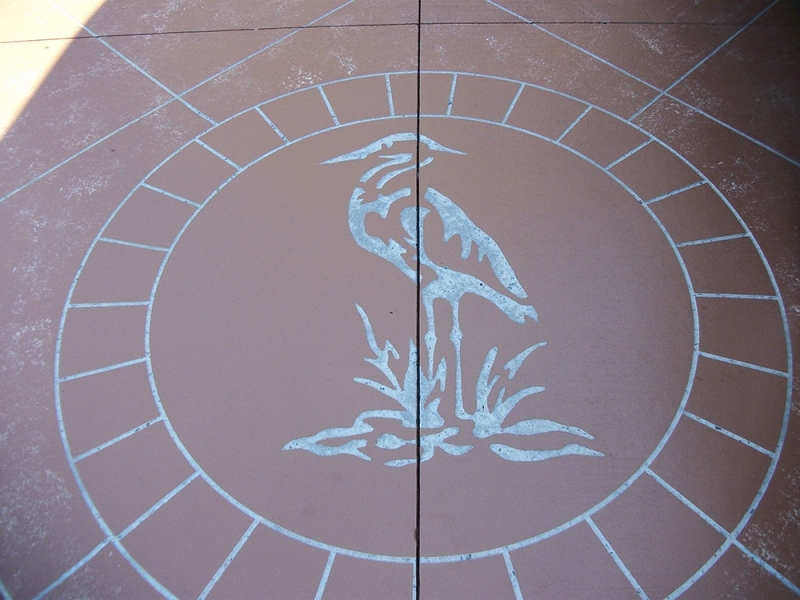 An experienced concrete engraver will get the job done right the first time saving you expensive do-overs. 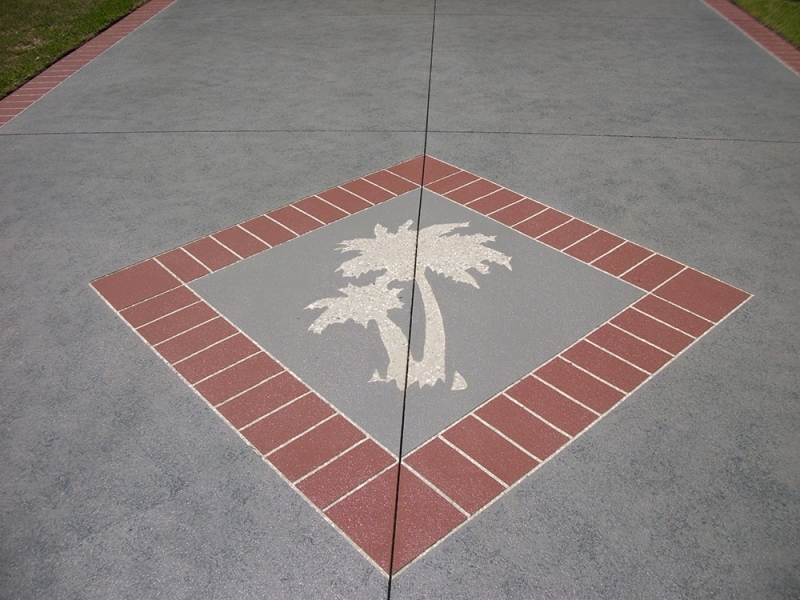 In Myrtle Beach, there is only one choice. 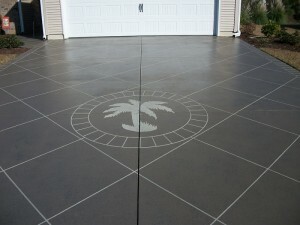 Coastal Crete concrete engraver gets the job done right. 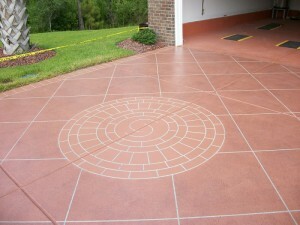 Don't waste time on other concrete engravers. 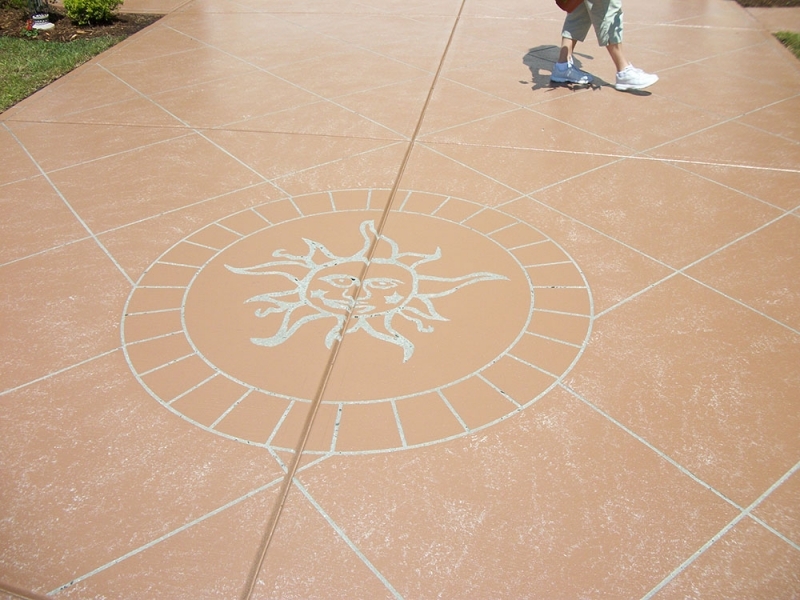 Concrete engraving is an art form just like any other. 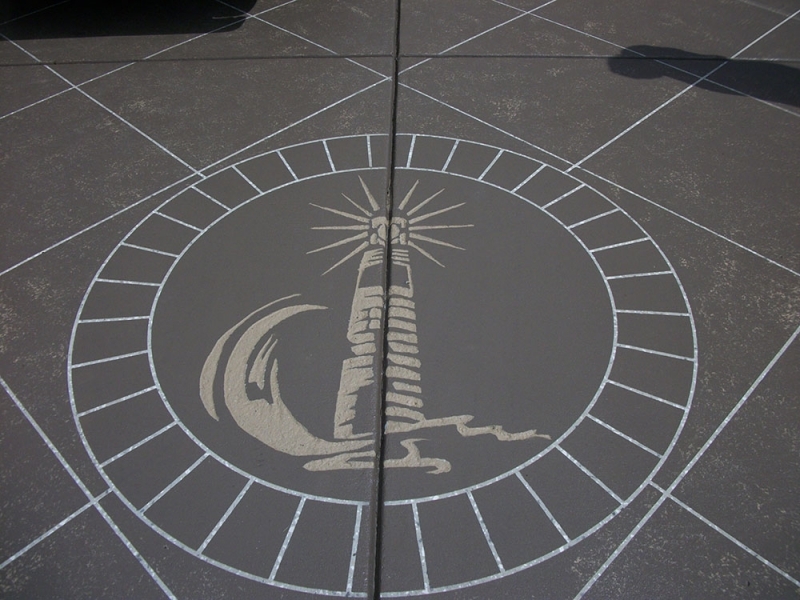 The medium may be a little bit different, but it should still be a work of art. 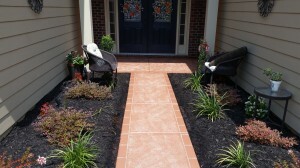 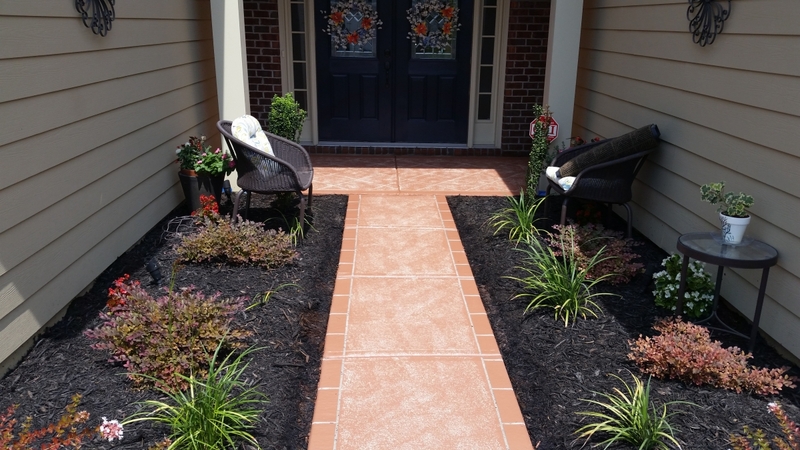 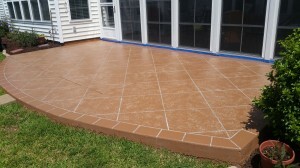 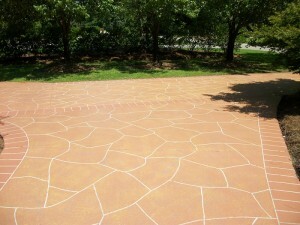 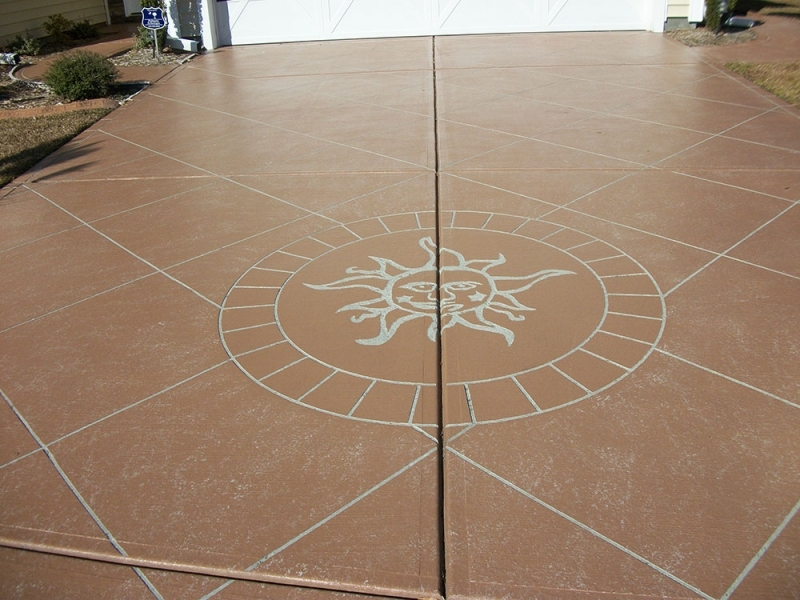 Decorative concrete designs take a great deal of skill and practice. 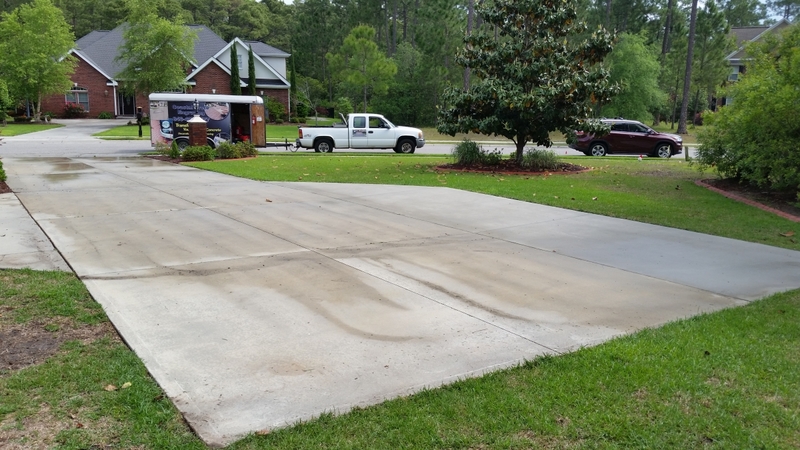 The concrete surface is first cleaned and prepped before the process begins. 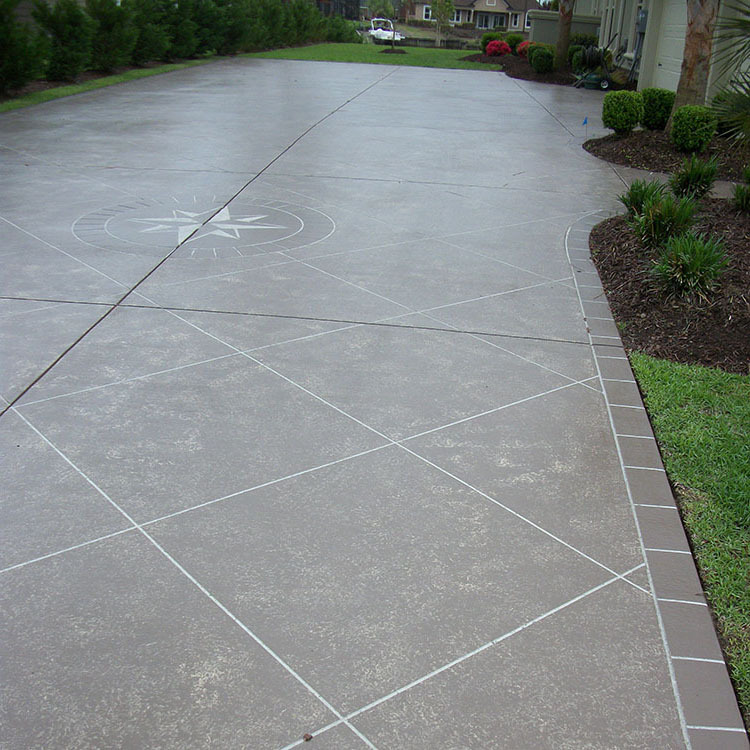 Holes, divots, and cracks are repaired for a smooth surface. 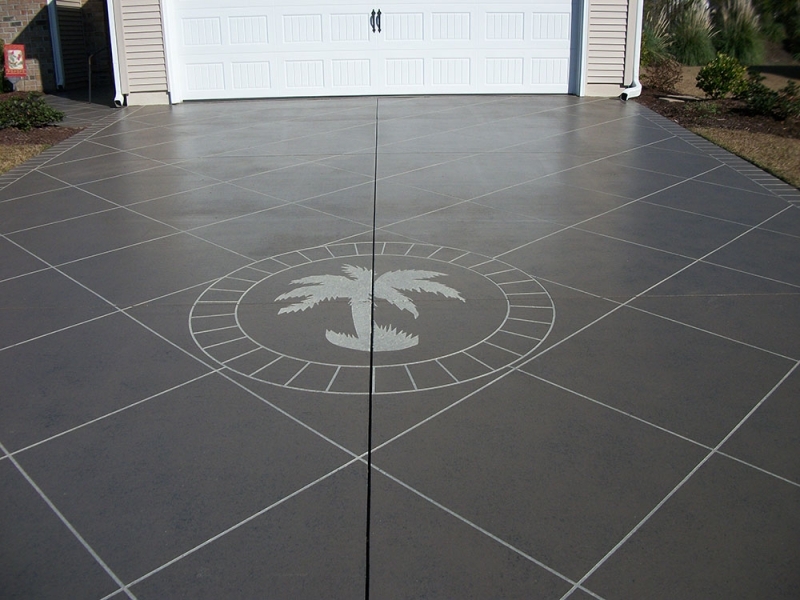 After the concrete engraving takes place with the decorative concrete designs of your choice, concrete polish is applied. 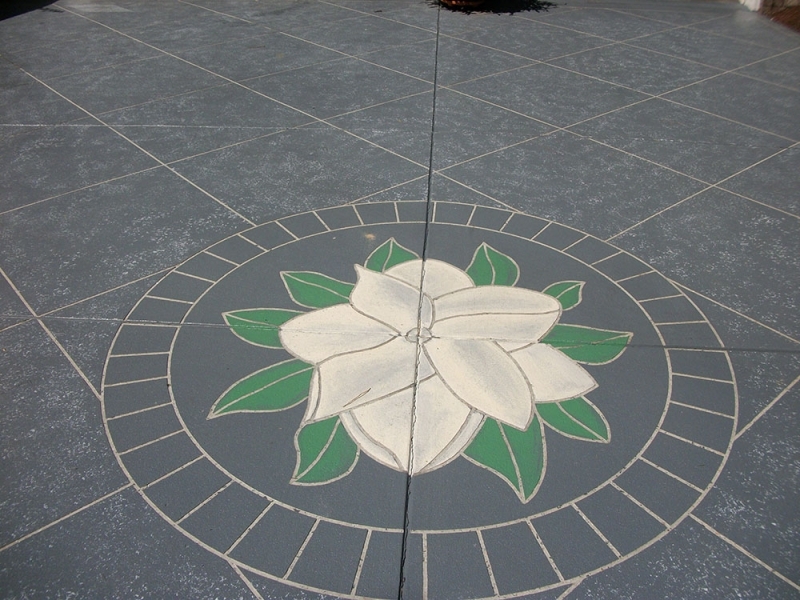 This allows for long life in your new artwork. 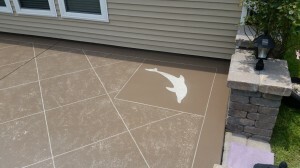 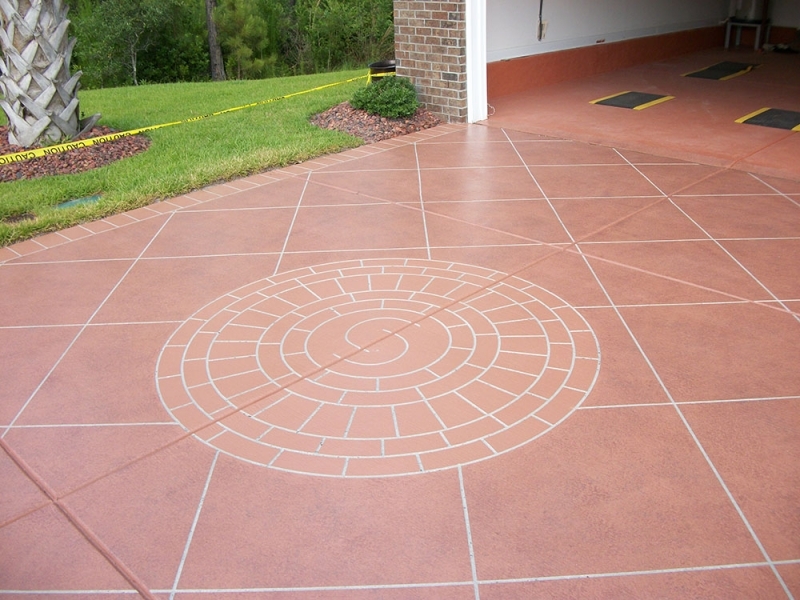 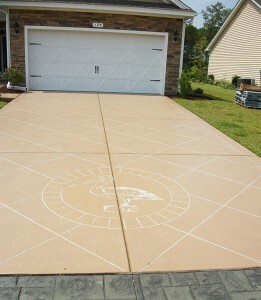 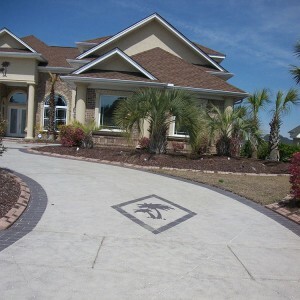 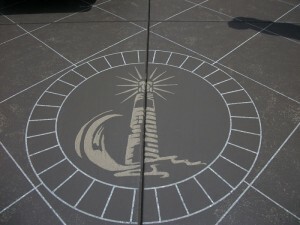 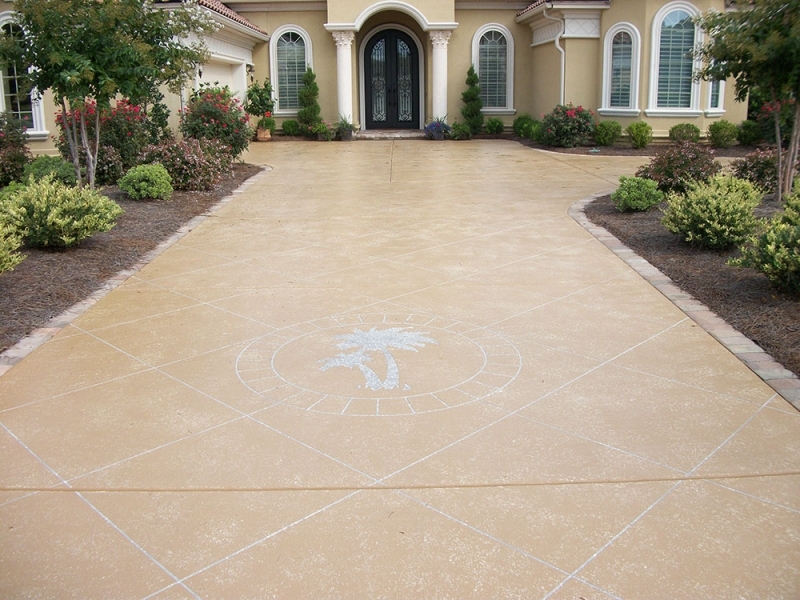 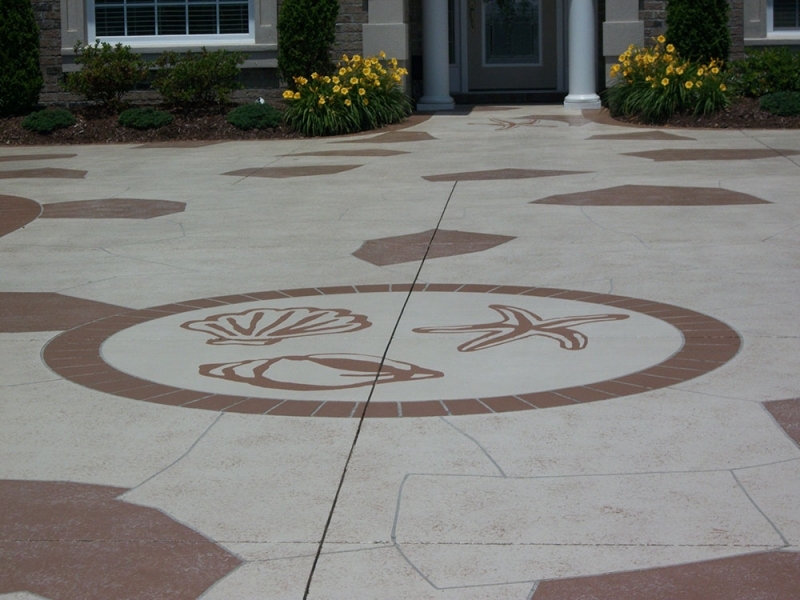 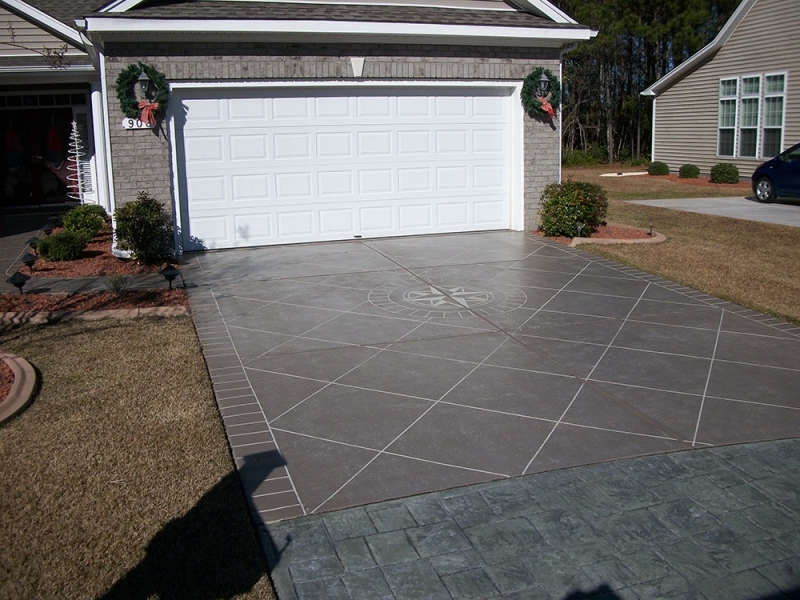 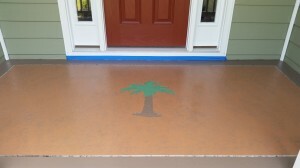 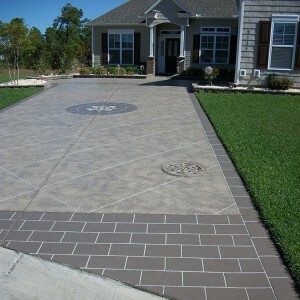 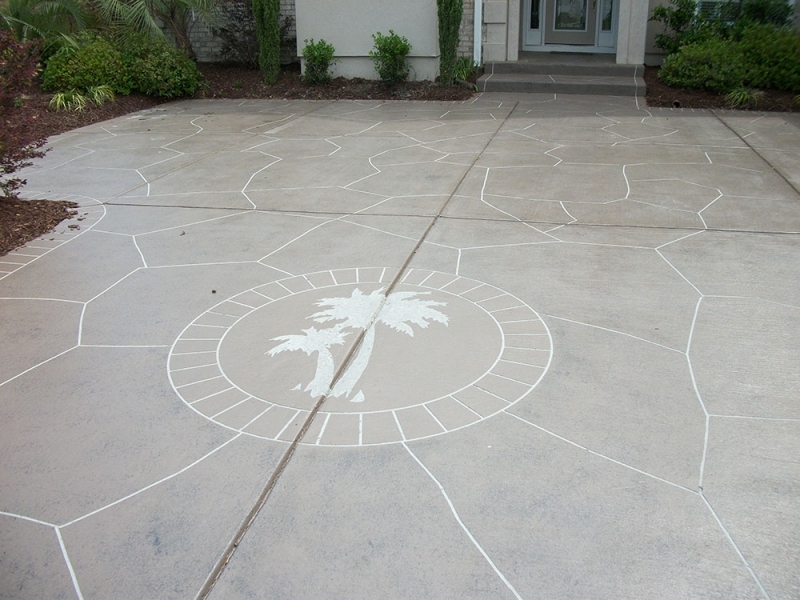 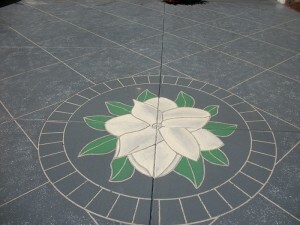 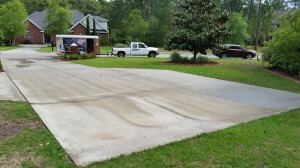 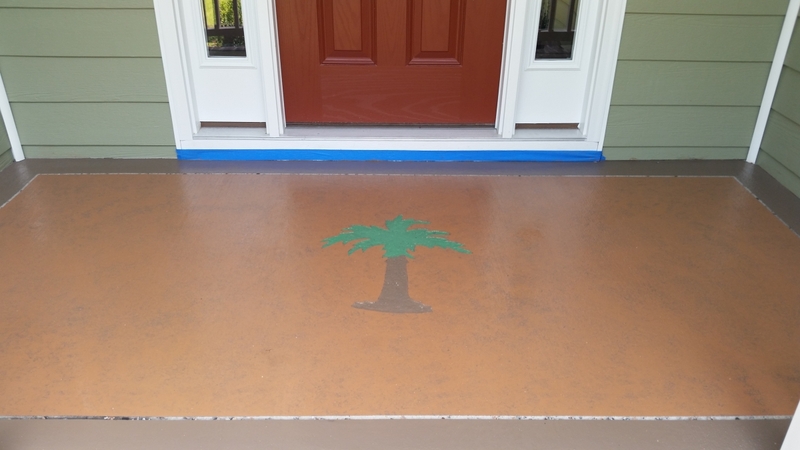 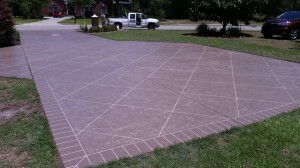 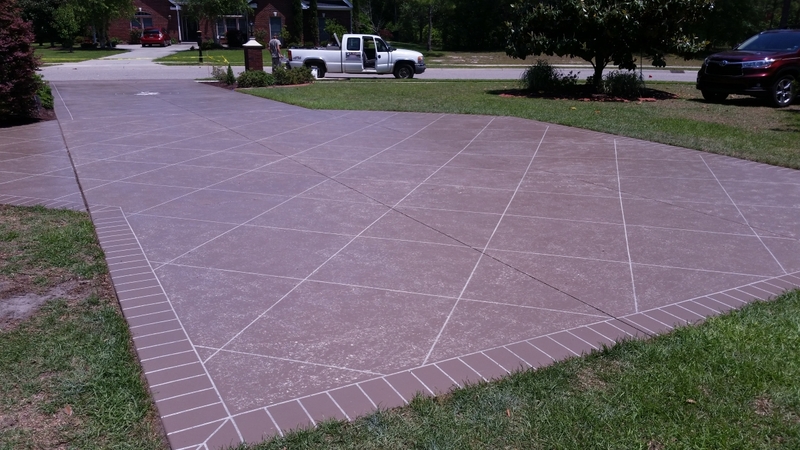 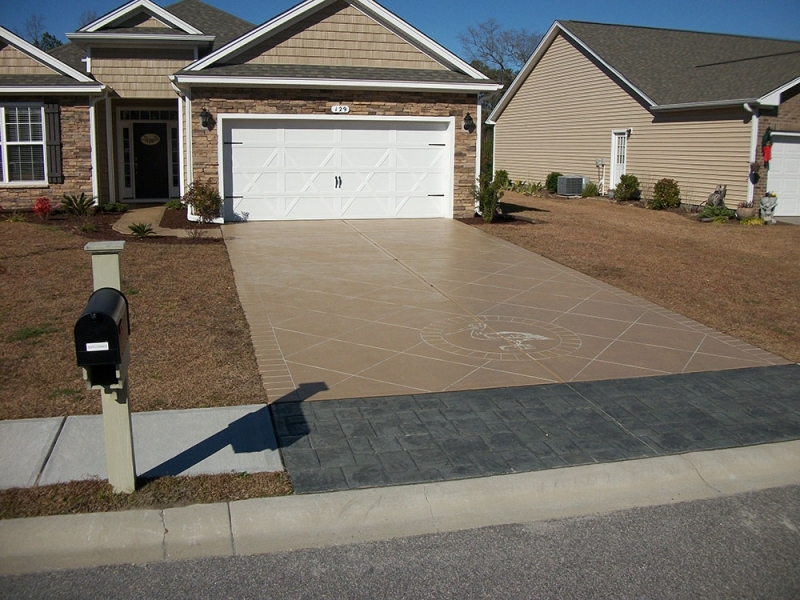 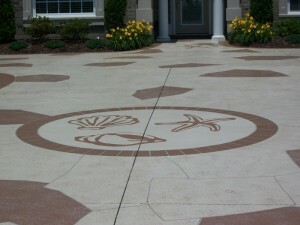 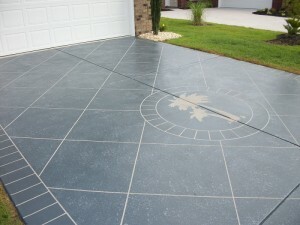 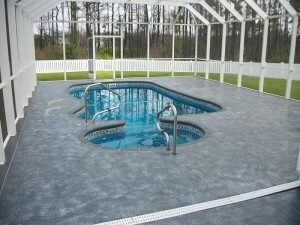 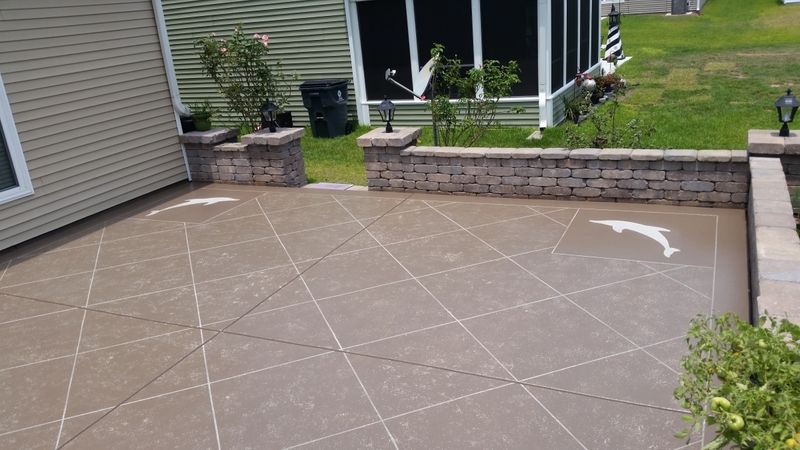 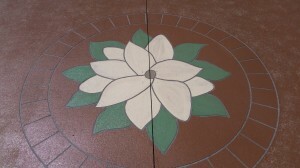 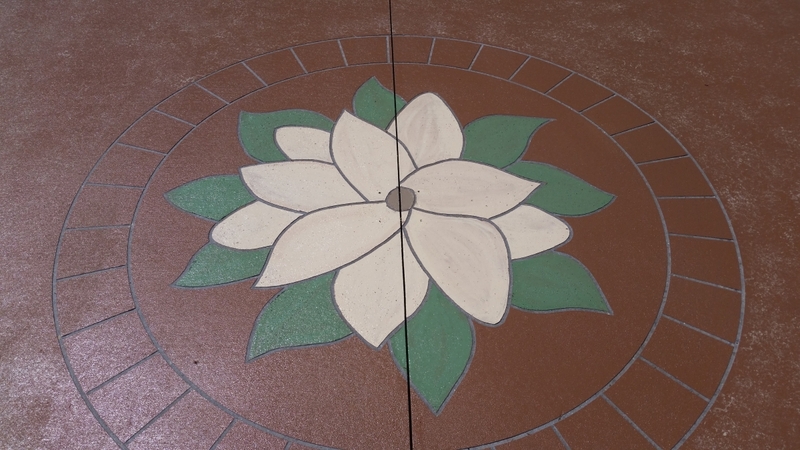 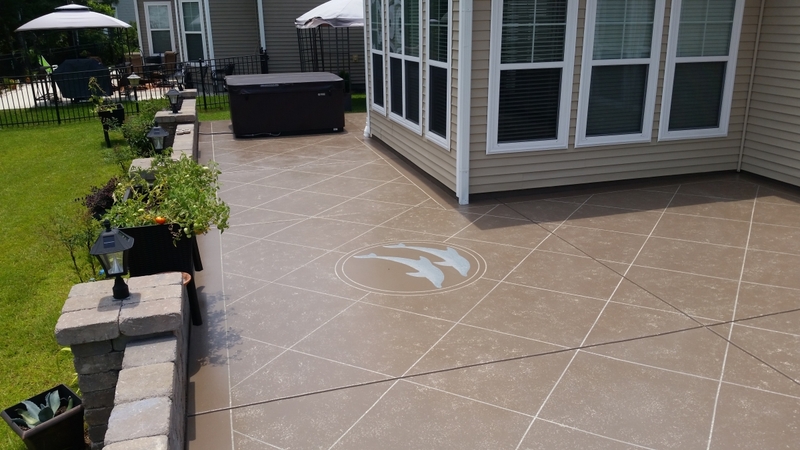 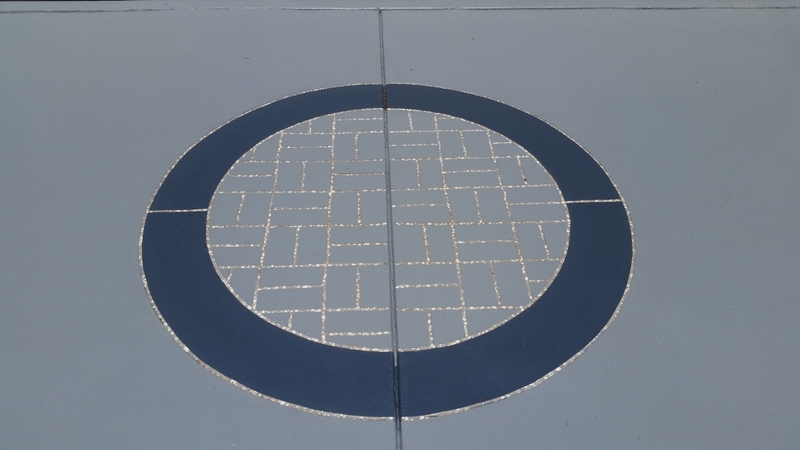 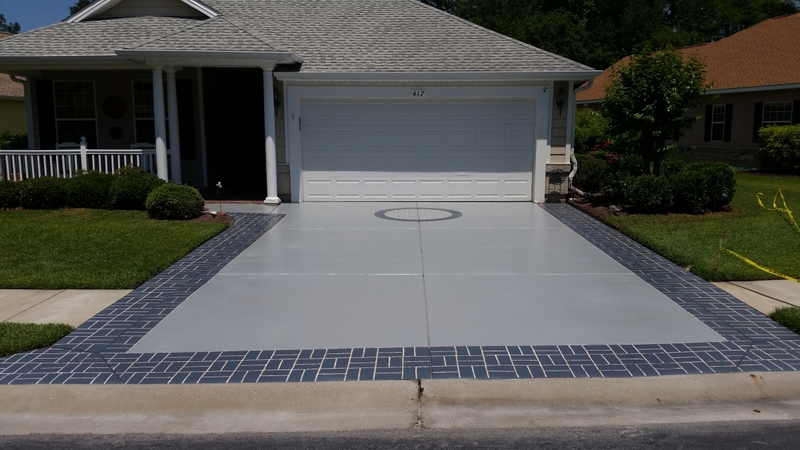 Myrtle Beach concrete engraving specialists Coastal Crete has mastered this art form. Picture your old oil-stained or weather-beaten surfaces being transformed into stunning designs. 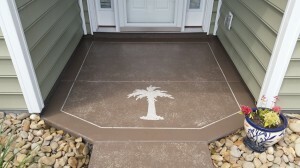 You will be the envy of the neighborhood! 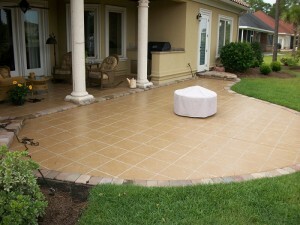 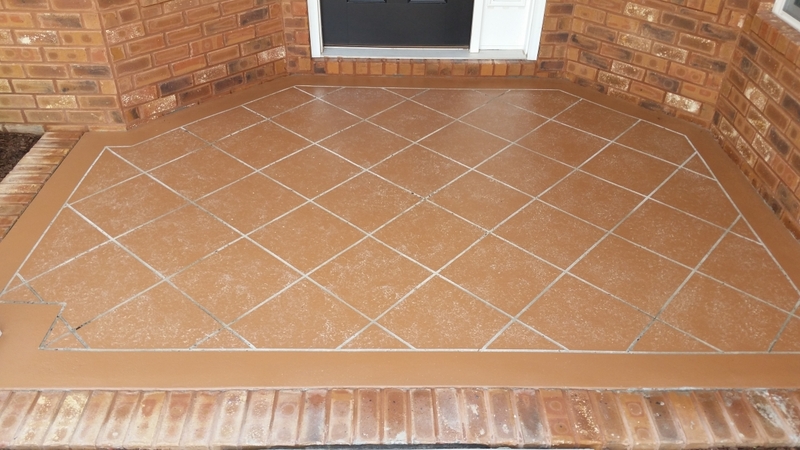 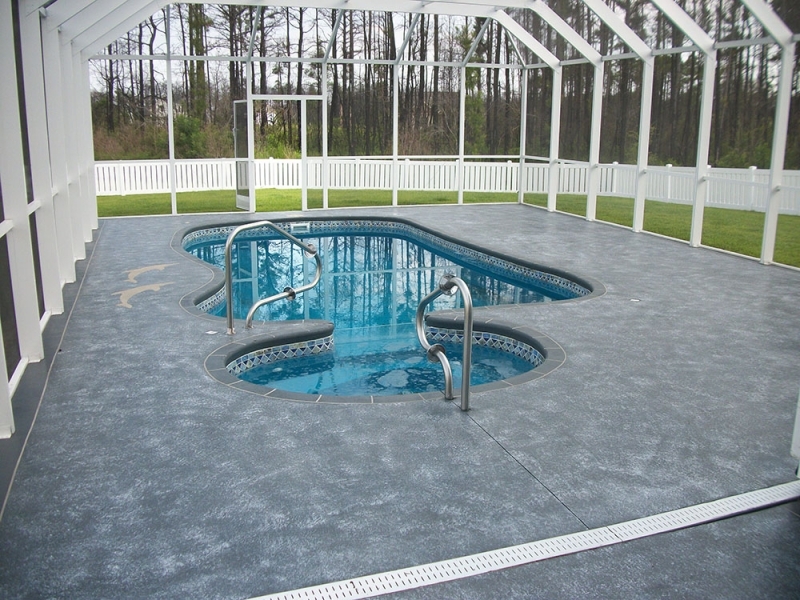 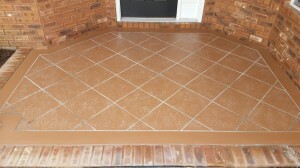 Decorative concrete is the use of concrete as not simply a utilitarian medium for construction. It is much more of an aesthetic enhancement to a structure, while still serving its function. 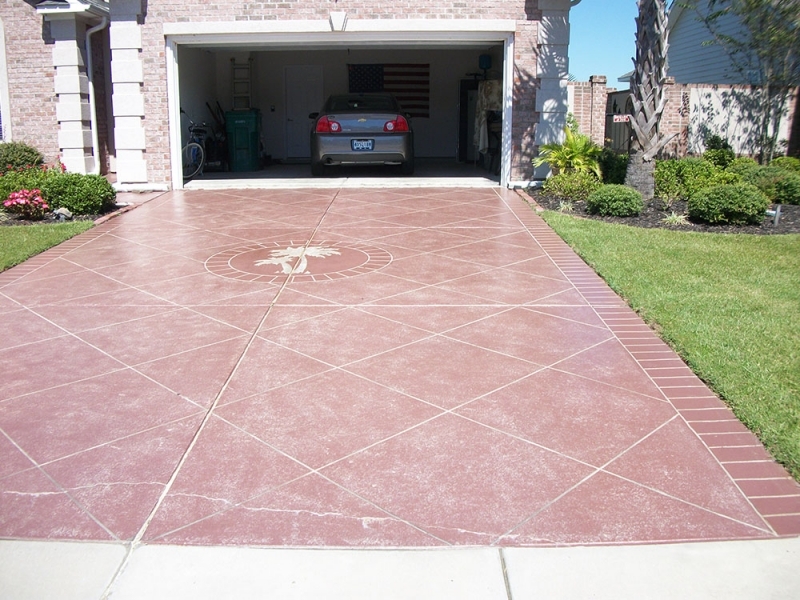 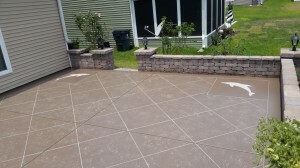 The transformation of concrete into decorative concrete is achieved through the use of a variety of materials that may be applied during the pouring process or after the concrete is cured. 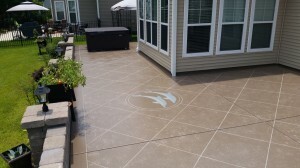 These materials and/or systems include but are not limited to stamped concrete, acid staining, decorative overlays, polished concrete, concrete countertops, vertical overlays and more. As a master concrete engraver, Coastal Crete Engraving takes great pride in their work. they take the time to be sure the job is done right.